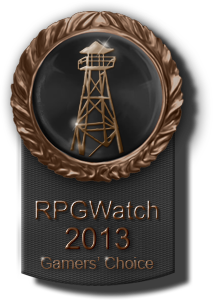 Last week you could vote for the Best RPG of 2013 and we now present you the results of your votes. Harebrained Schemes pitched their game Shadowrun Returns on Kickstarter asking 400K to realize it and received almost 5 times that amount. With that amount of money they could do much more than originally intended. 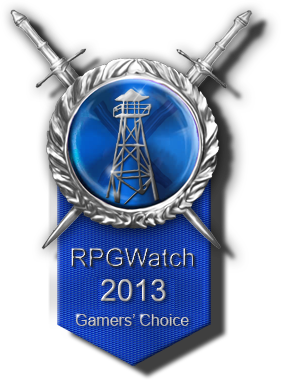 The reception of Shadowrun Returns was positive with some shortcomings noted, but given the lack of good RPGs in 2013 it is perhaps not surprising that this game has won the Gamers' Choice award. Expeditions: conquistador was another game that got funded through Kickstarter, but with 77K had to do with a smaller budget. Still, the result was quite a good game, where in our review of it the good turn-based combat system and text adventure narrative got highlighted. 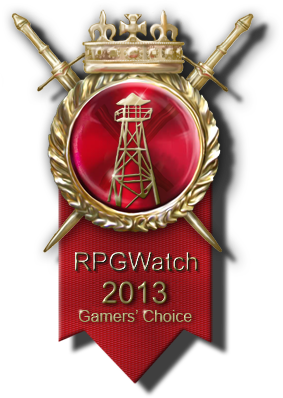 It is also an example of how indie RPGs are getting more important as the first two places of the Gamers Choice awards are occupied by indie developers. The game that barely beat the game that can't even be considered a real RPG is the enhanced version of Baldur's Gate 2. One could argue whether the original version combined with the right mods needed any enhancement, but even if the extra content and characterers that were added do not do it for you, at the very least the Enhanced Edition makes it easier and improves the playability on tablets. Besides that, the core game is still as good as it was in 2000. The following tables show the results of the voting.